Have you thought much about cranberries other than cracking open a can and serving them with cranberry dinner? I’ll admit, it’s definitely not something I think about often. But, around November I start seeing them and my mouth starts watering with the thought of delicious cranberry recipes. That’s when I realize just how fascinating this little fruit is. 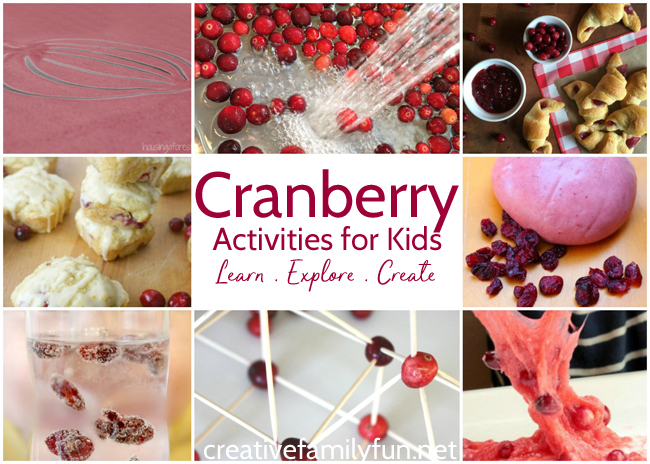 These cranberry activities for kids are fun to share with your family. 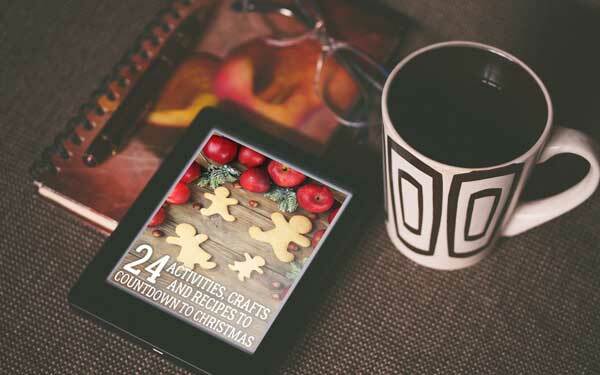 You can have fun learning, playing, and cooking with this Thanksgiving favorite. Did you know that cranberries are native to North America? Did you also know that we think they may have been served at the first Thanksgiving? That’s because the cranberry was important to Native Americans and would have been grown in the Northeastern part of the United States during that time period. There are so many fun things to learn about cranberries and these hands-on cranberry activities are all great ways to learn more about this super fruit. How are cranberries grown? Learn about how they’re grown and harvested with this short 5-minute video. It’s completely kid-safe! Did you know that cranberries float? Your little one will love experiencing this for themselves with this fun Cranberry Sensory Play Idea for Toddlers at Views From a Step Stool. Explore, learn, and get some fine motor practice with this Cranberries in Water Sensory Science Play idea from Little Bins for Little Hands. Learn a little science with cranberries with these experiments from Teaching to Inspire. You can also download mini books to go with your experiments. For even more cranberry science, check out Stir the Wonder. So fascinating! You could spend all day doing cranberry science projects. Use cranberries in a STEM project. Little Bins for Little Hands has a fun Thanksgiving twist to a classic engineering project. Make cranberries dance with this simple science project from The STEM Laboratory. Cranberries make a fun sensory experience. 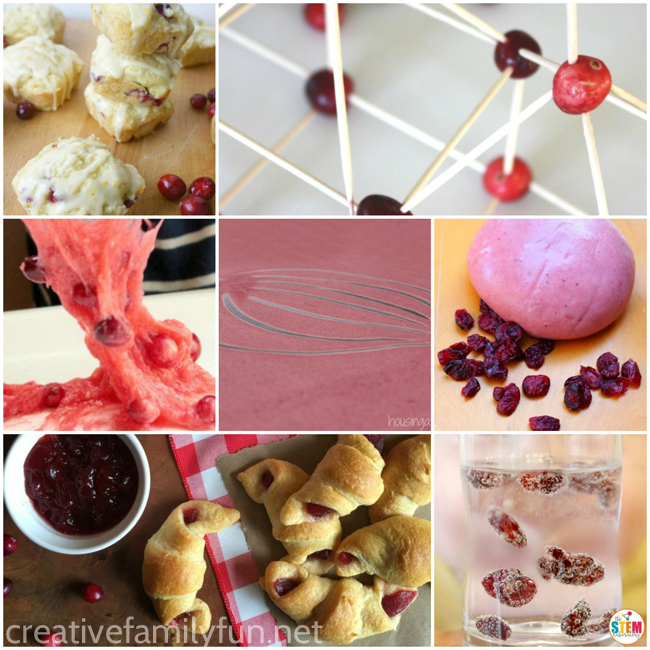 Check out these awesome cranberry sensory play ideas. We had loads of fun playing with this 2-Ingredient Cranberry Dough from Learn Play Imagine when we made it. Plus, if you add just one more ingredient, you can transform the dough into cranberry ooblek. Fun! You can also make a simple No-Cook Cranberry Play Dough from Natural Beach Living. When you’re done playing, you can use the dough to make some Cranberry Play Dough Christmas Ornaments. Get creative and paint with some cranberry scented paint. Get the recipe for this homemade fall paint at Housing a Forest. Make some cranberry slime! Doesn’t that sound like fun? Find the recipe for this taste-safe Cranberry Slime at Schooling a Monkey. I don’t know about you, but I love the flavor of cranberries. So when you’re thinking of cranberry activities, you should plan on getting in the kitchen with your kids. Any of these recipes would be fun to make and eat together. 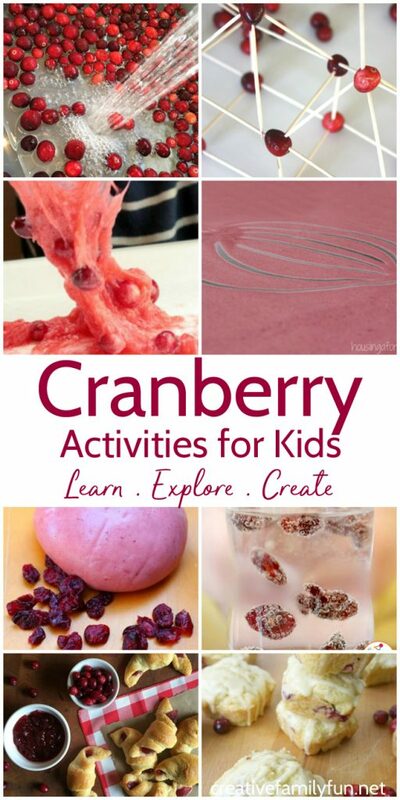 Which of these cranberry activities for kids do you want to do?